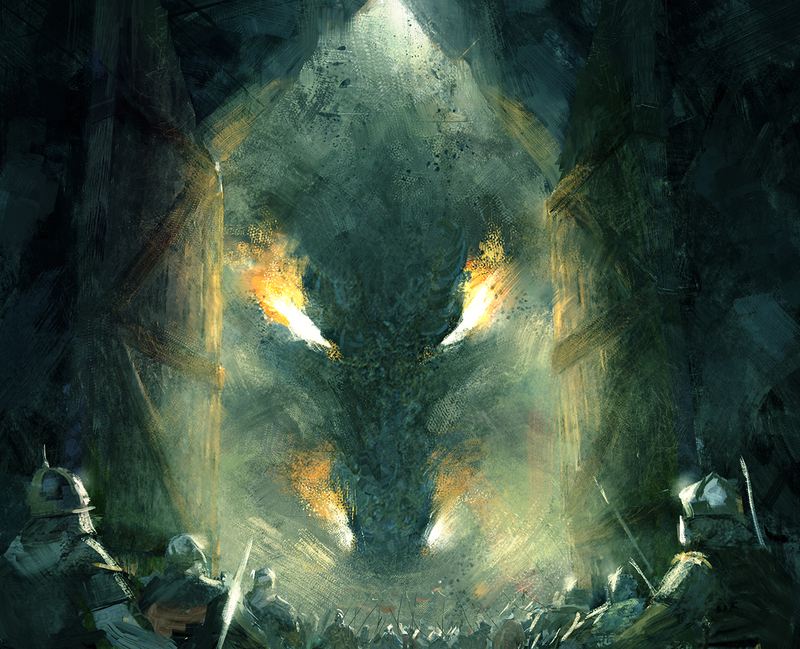 The latest in my Hobbit images as I read through the book, this is from when Smaug first attacks the Dwarven lonely mountain stronghold. 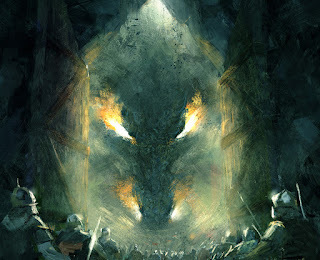 As Tolkien put it "The dwarves rushed out of their great gate; but there was the dragon waiting for them. None escaped that way"